Sweet. I was looking forward to your articles on this! Will give them a read shortly. The motherf**ker! Ian Whyte you magnificent man! So, are the Engineers religious or do they mean that maybe their minds were uploaded and returned to Paradise? Perhaps the Engineers honour integration, a transformation to "rise" to a higher form. I hope one day we get to read it in full. The Prometheus shooting script? Has it never come out? Only this one. No other draft of Lindelof's has made its way online. Love to read that final paragraph the engineer says regarding their home world. The Prometheus rover is now on display at the Petersen Automotive museum in LA. For those living in the LA area their address is, 6060 Wilshire Blvd, Los Angeles, CA 90036, USA. Will certainly visit on my trip to LA. The production design of Prometheus is so superb. The head makes it pretty clear it's the Deacon. 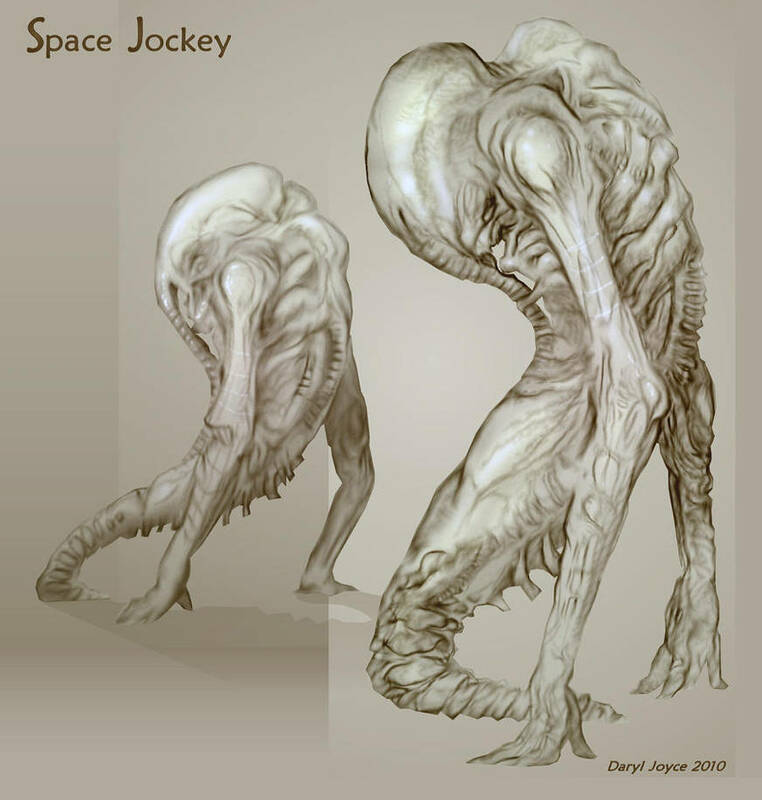 The Neomorph features a pointy head as well? The mural most likely depicts a neomorph type of creature. And that's probably what the decon is tough. Any information regarding the above practical Neomorph head? It resembles the final design, but I discovered no BTS material concerning it. Maybe it's what they used for filming, without cgi added.